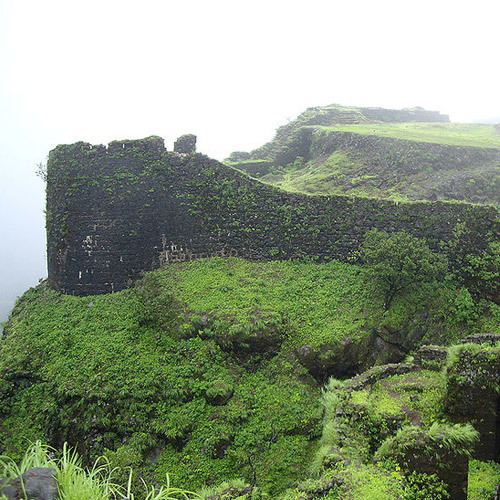 Although Kothaligad is a small fort, it has a long history of skirmishes for power. It has been under the reign of the Mughals, the British, and the Marathas. It is 3100 feet tall, and is believed to have been a watchtower, because of its vantage point for the surrounding hills. At the top of the fort, there are sprawling ramparts, ancient cannons, and carvings and sculptures on the walls of the ruins. But the highlight of Kotligad fort is the steep staircase, cut into the interior of the rock pinnacle. 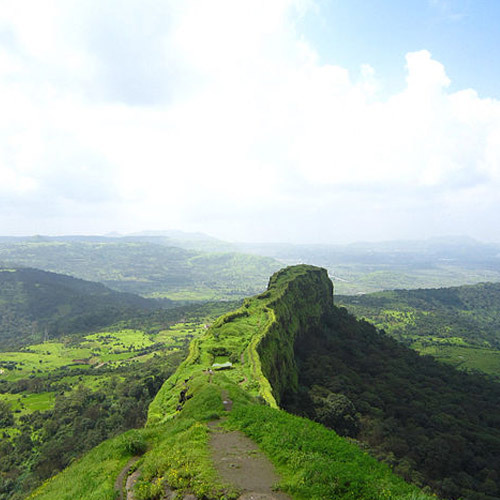 The Kothaligad fort trek is popular because it is quite easy, and is in Karjat, not too far from Mumbai. Kothaligad fort is also known as Peth fort, named after Peth village at the base. 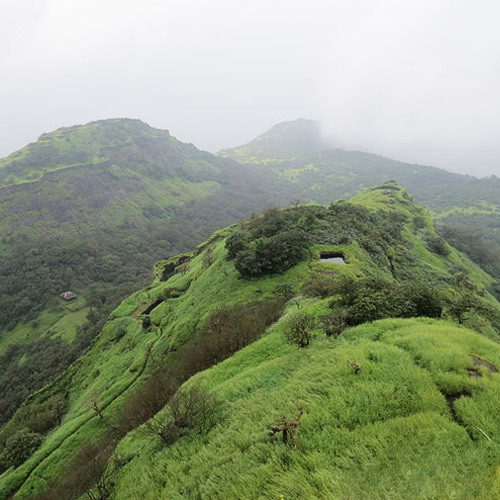 The Kothaligad fort trek is not hard, but there are some steep sections. 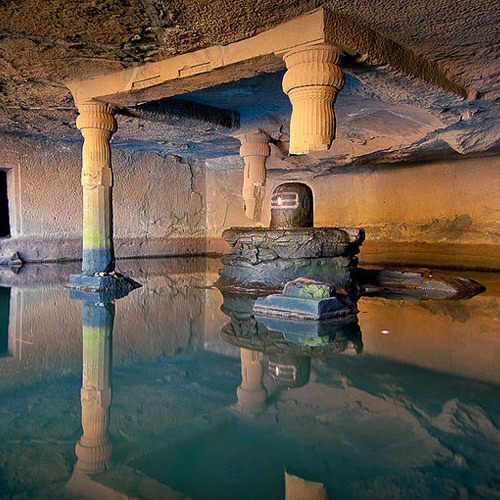 During the monsoon, rainwater from the top gushes down the rocky surfaces, flowing under your feet as you trek. You’ll also have some sections where the rock-cut stairs have crumbled, so do be careful there. 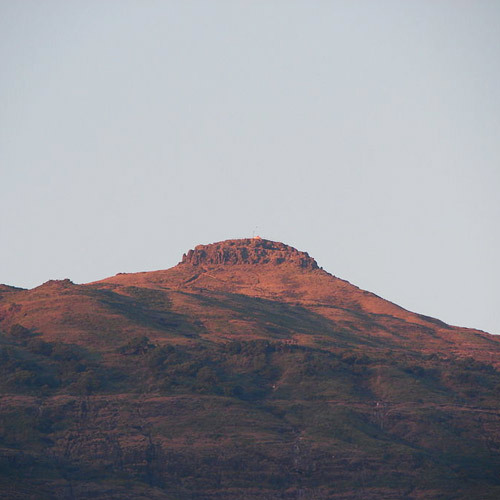 The Kothaligad fort trek takes about 3 hours, one way. 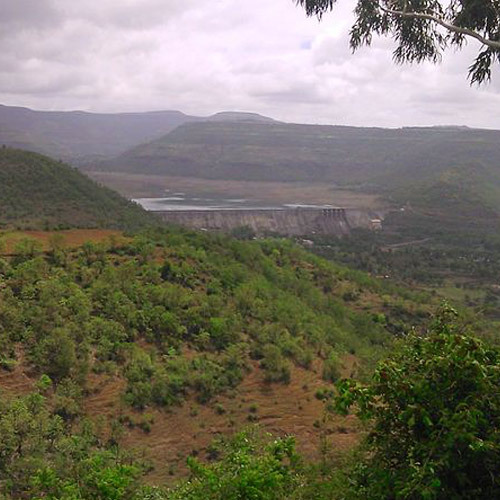 You’ll have to get to Karjat by private transport, or you can take a train to Neral station, and take public transport from here to Ambivli village. If you go during the monsoon, you’ll pass a small waterfall on your way up. You’ll hike along a rocky path, through a dense forest to the rock staircase inside the rock pinnacle. You’ll climb these stairs carefully and emerge at the top, where you’ll have historic pillars, cannons, water cisterns, and temples to explore. 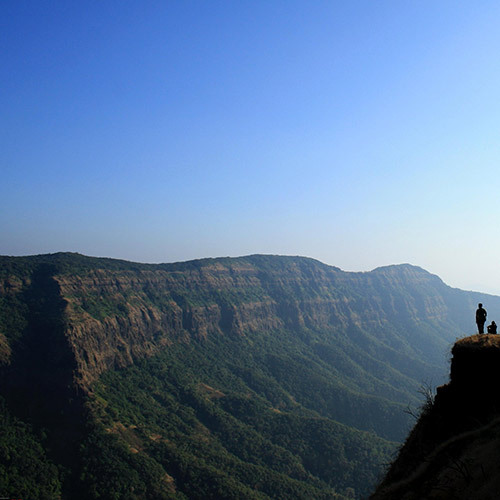 You’ll also be able to see the surrounding forts of Rajmachi, Sinhagad, Prabalgad, and more. 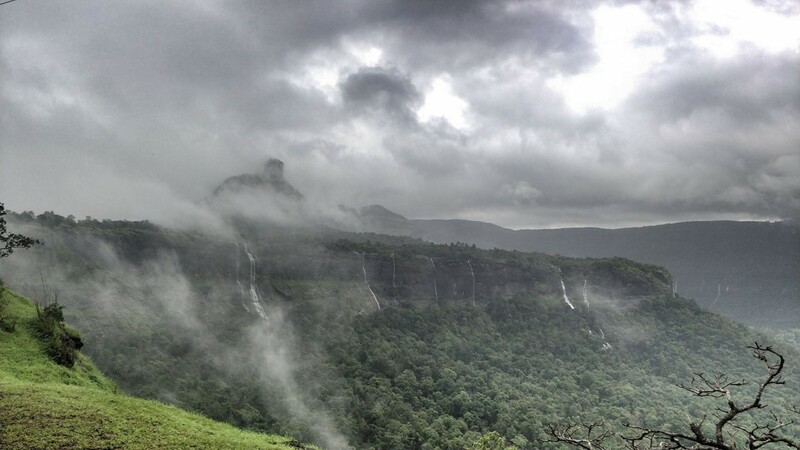 The Kothaligad fort trek is fun during the monsoon, because of the views you’ll get. In winter, the weather is cool and if you go early, you’ll get to the top in a short hike, in time to watch the morning mist lifting from the hills around. 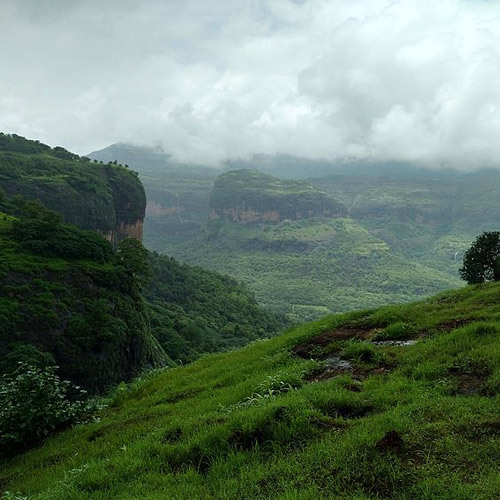 For your Kothaligad trek, you should take appropriate rainwear and trekking shoes. Do carry your essentials like water, snacks, insect repellent, first aid kit, and camera in a small day pack. Don’t forget to pack a rain cover for your bag, or pack your belongings in plastic to protect it from getting wet. Also, carry a change of dry clothes and a long-sleeved jacket or sweatshirt to keep you warm on your return. 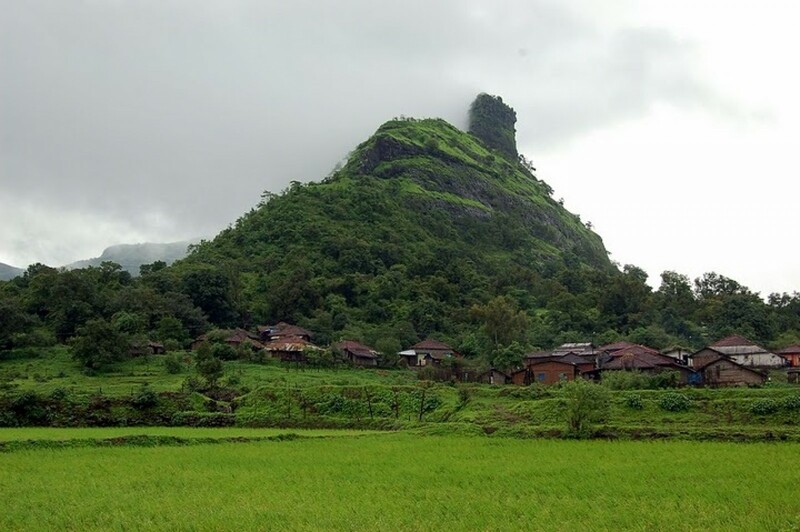 On this monsoon trek to Kothaligad, embark on a 6-hr trek in the hills of the Western Ghats and explore the ruins of an ancient fort. A rocky trail littered with stones and boulders will take you to an elevation of 3,100 feet. Often drenched with trickling water, the trail curls through thick bushes and trees that flourish in the monsoon rains. 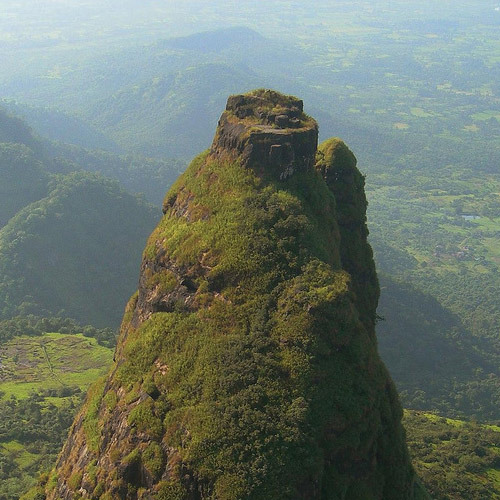 At Kothaligad, you can explore the historic pillars, cannons and temples that are housed inside the fort. With intricate carvings decorating the walls, the fort of Kothaligad also houses 13th century artworks chiselled on the Bhaioba caves. Ideal for travellers looking to plan a weekend getaway, this is a relatively easy trek that is perfect for fit beginners as well as experienced trekkers.